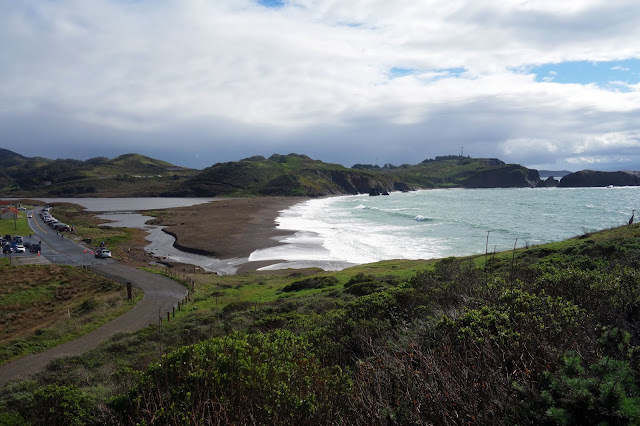 It was Dec. 18, 2010, when I pulled up to this same lagoon to collect a bib for my first ultramarathon, the Rodeo Beach 50K. I remember it well. A light drizzle fell from low clouds and temperatures were in the high 40s. I lived in Montana at the time, and was still fresh enough from Juneau that this felt like summer weather to me. "It's only 31 miles," I reminded myself. "You pushed a bike farther than that over Rainy Pass." I'd also recently hoofed nearly 50 miles while "pacing" Beat in the Bear 100. This didn't feel like new territory — more like an extension of a well-trodden trail. 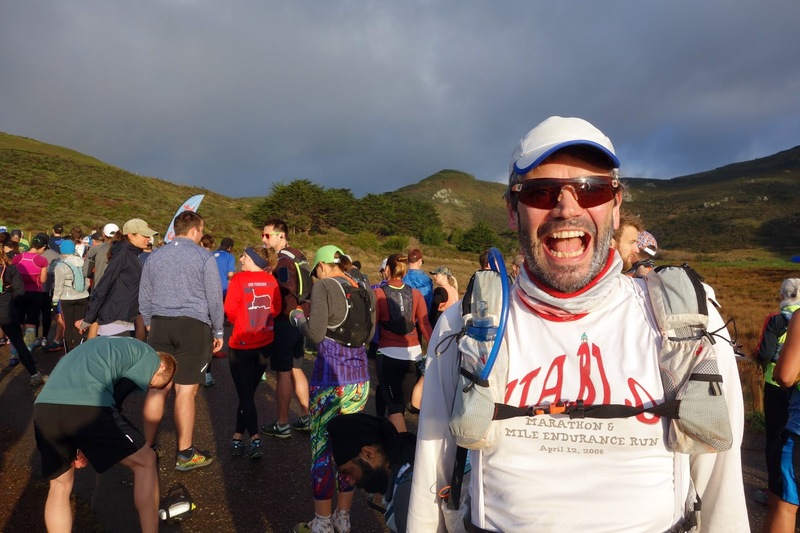 What I remember best about my first ultramarathon is the lack of fear. I was so self-assured at the time. In many ways, 2010 was my best year. It was the year I took it upon myself to escape Juneau and an oppressive job, and soon thereafter left Alaska for brighter prospects. I lived alone for the first time in my life, and took care of all of my own affairs. I was in an exciting new relationship. I took up running. True to my overzealous nature, I didn't work my way up from couch to 5K or even a half marathon. No, the first foot race I signed up for was a 100-mile sled-dragging scrimmage in Alaska, the Susitna 100. 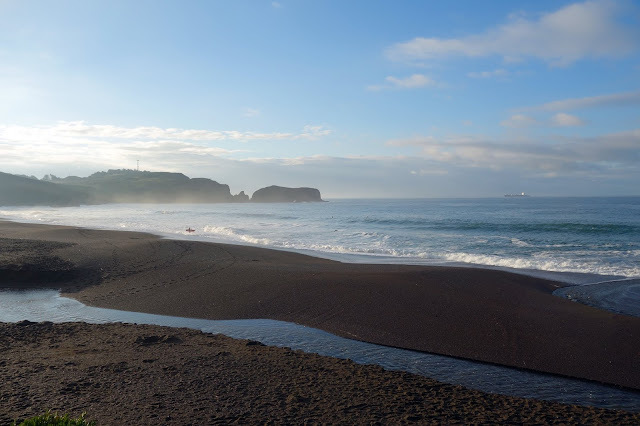 Rodeo Beach was just a training run. It would be a breeze. I miss those days. I'm not sure how many ultramarathons I've completed since then — more than 50. The number sort of embarrasses me, because for the amount of trail running I've done, I'm still pretty bad at it. If fact, I was better at trail running in the early days. I wasn't quite so timid on the descents. I was willing to really bust up a hill to avoid interrupting my stride. I wasn't yet terrified of becoming out of breath and sparking an attack that would unravel my entire day. I miss being a beginner. There's a lot to be said about what one can accomplish when one doesn't know what one can't do. 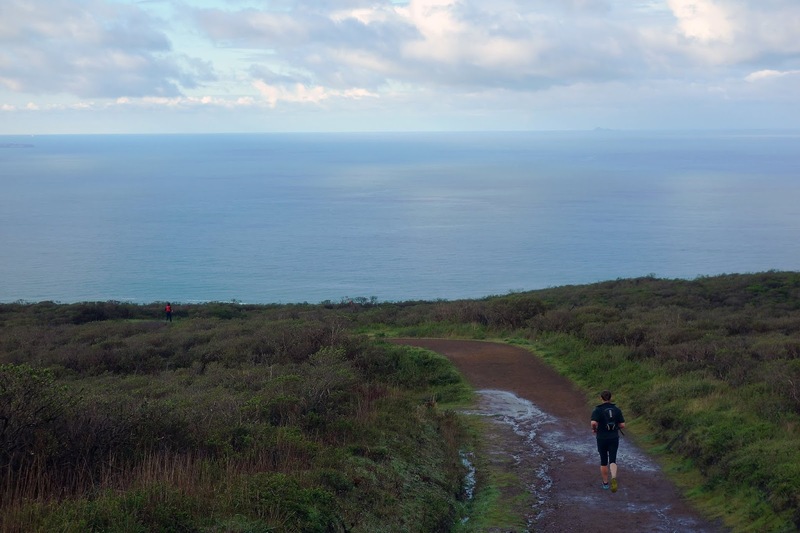 The next time I ran this course — a beautiful and steep series of singletrack and fire roads over the southern hills of the Marin Headlands — was Feb. 8, 2015. 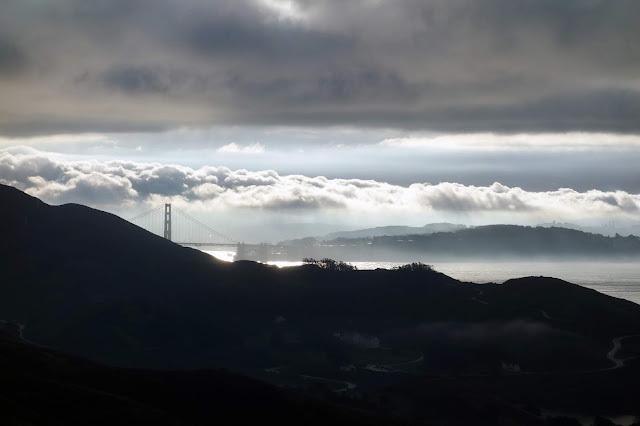 The name was now the Golden Gate 50K, after the famous bridge that often graces the periphery. Similar to this year, I was training to run the White Mountains 100, even though I wouldn't drop off the wait list until days before the race. I was also cycling a bunch in preparation for a bike tour of Alaska's western coast two weeks before the WM100. I was still certain I could do all of that and anything else I wanted to do, if I put my mind to it. The 2015 race was also rainy and cool. Though I had a rough start, I was able to wrap it up well. 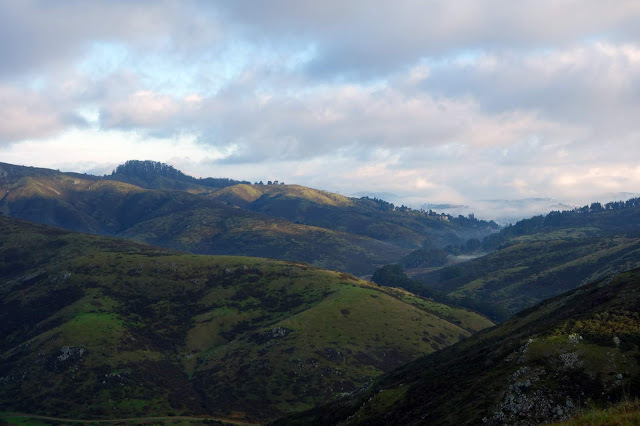 I'd been a trail runner for more than four years. My legs were seasoned and prime. The sky was the limit. I can't believe four more years have passed since then. It really is true, what they say about the passing of time as you get older. It's also true that I spent the first four years of my running life steadily climbing a hopeful hill, and most of my athletic endeavors since mid-2015 have felt like a steep downhill slide with a few good bumps along the way. Have I hit bottom yet? I keep returning to these hopeful hills, just to see. 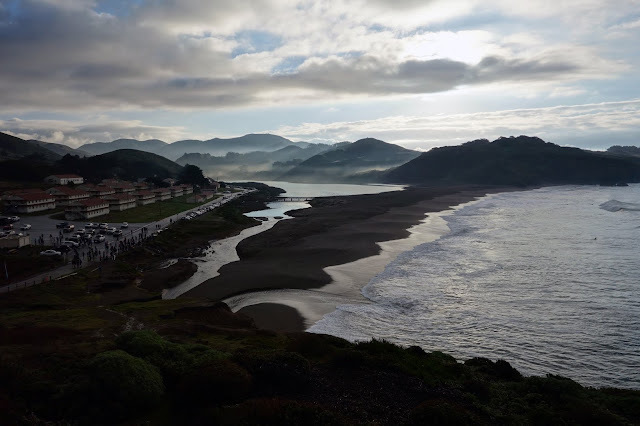 Beat and I drove north toward San Francisco in the bleakness of 6 a.m. Heavy rain pelted the windshield, and I felt an almost amusing flood of dread. My dread was amusing because I had no justification to feel so scared. This truly was known territory now, and I'd already removed the expectation that I had any chance of completing the course in the time I managed in 2015. Alas, that ghost hovered over me all the same. "Prove you're better. Prove that experience can outpace innocence." Incredibly, the heavy rain tapered off just as we arrived at Rodeo Beach, and within 20 minutes a large patch of sky cleared and the morning sun came out. 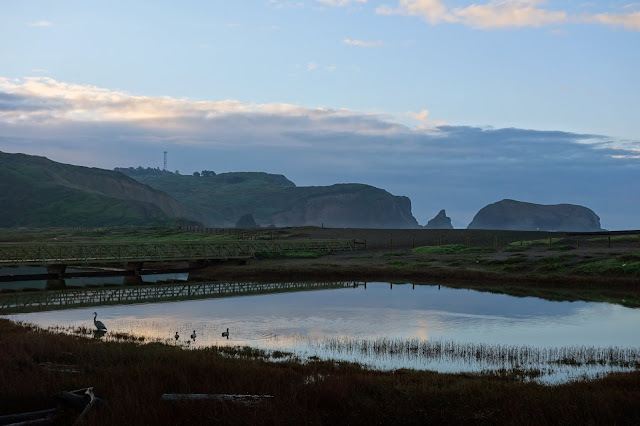 The light was gorgeous and I was awestruck, walking along the lagoon as herons graced the shoreline and flowers almost glowed with vibrant reds and yellows. Beat and I lined up for the 30K/50K start with a large crowd — the race director announced 100-plus folks were in the 30K, and 70 for the ultra. Beat took off with the pack and I had no expectation that I'd see him again, but there may have been some hope. Still, my legs felt oppressively heavy from the start. 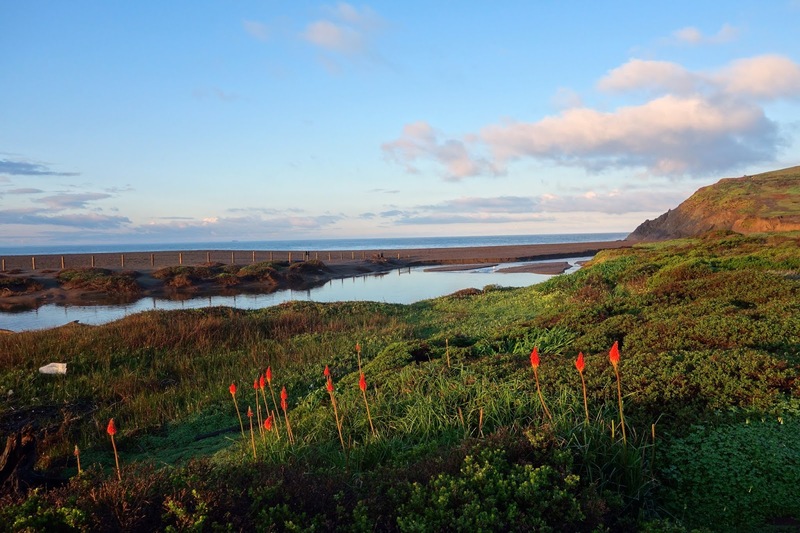 Also, it was a such a gorgeous morning and I have missed the Pacific so much that I couldn't help but amble along the edge of the trail and take bunches of photos as the pack disappeared up the hill. 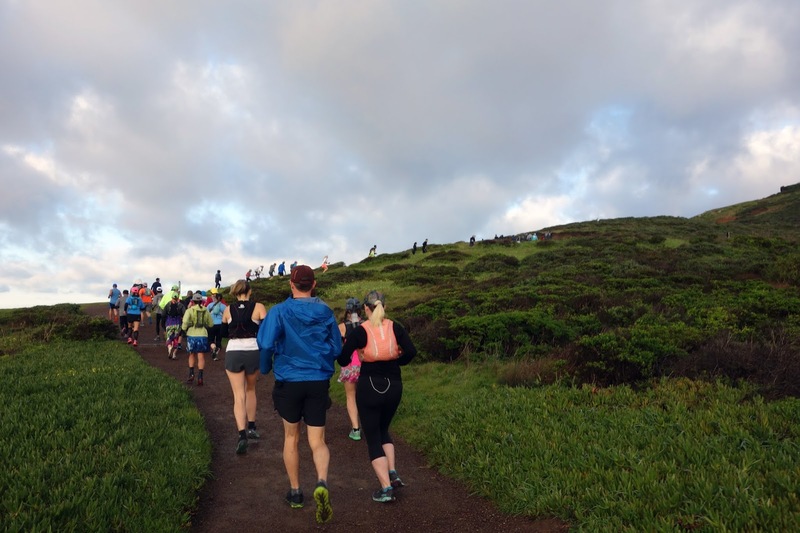 For such a popular trail run, the Golden Gate 50K is a mean course, with a monster-tooth elevation profile featuring enough 500- and 800-foot climbs to add up to 7,000 feet of gain. Even though it wasn't currently raining, the ascent was as muddy and slick as I'd ever seen it. 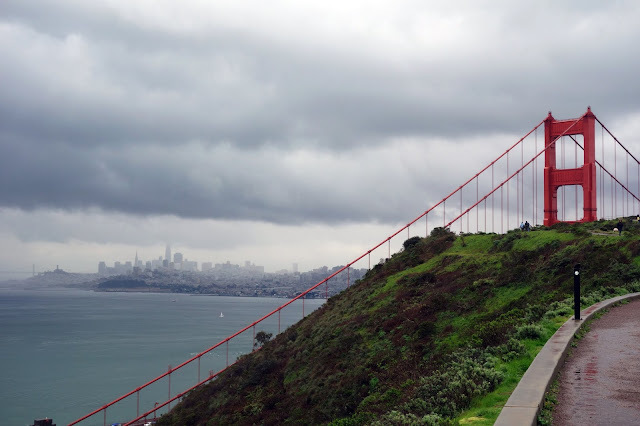 Unlike most of the five years that I lived in the region, the Bay Area is having a "real winter," which means lots of rain. 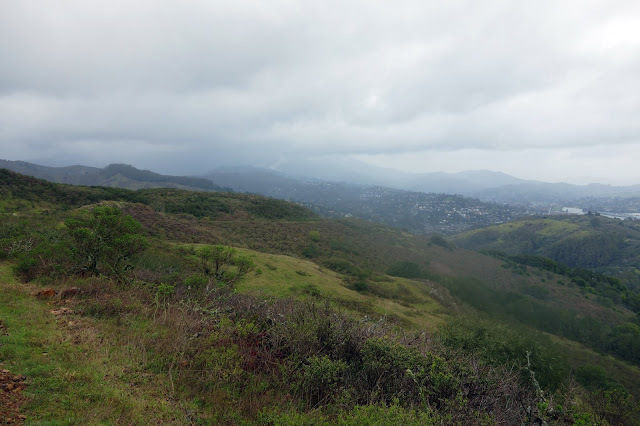 Indeed, my part of the pack wasn't even to the top of the first climb before dark clouds congregated over the hills and unleashed a light but steady drizzle. 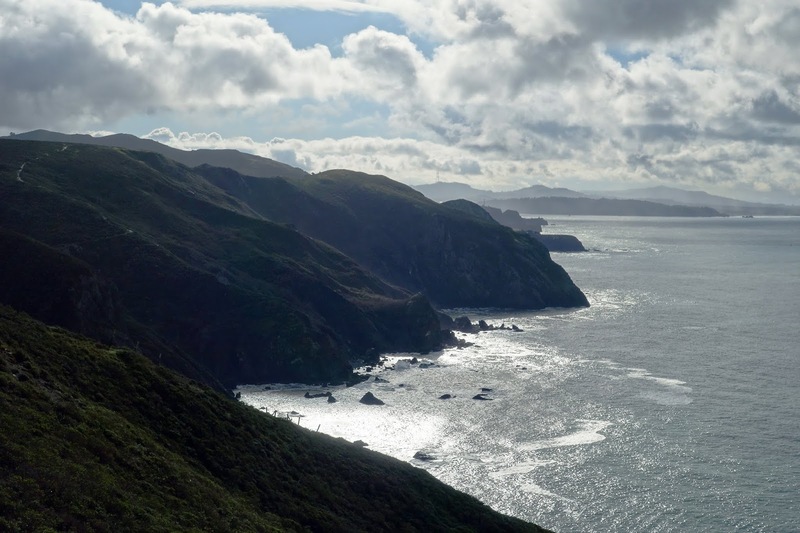 This would be the theme for the day's weather: A rollercoaster of sun, rain, sun, rain, sun. As the day dragged on, the sunny periods became more truncated and the storms exponentially more violent. But the first three hours of the morning made up for all of the later drenching with their unexpected gorgeousness. Oh, Big Blue. I do miss you. 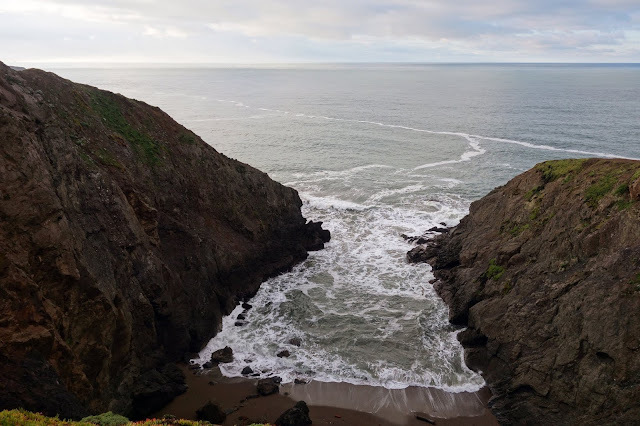 Listening to waves crash against the rocks as the trail dipped in and out of steep drainages was sublime. I was in bliss and not paying attention to my watch — perfect freedom now, at the expense of angst later. Worth it? Probably. My heavy Colorado hiker legs propelled me forward, and all was beautiful and good. Climbing out of Pirates Cove. 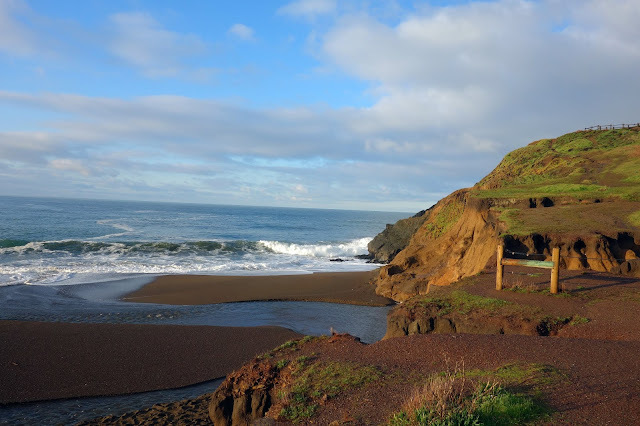 At this intersection, still soaked in bliss, I came perilously close to saying "whatever" to the race and dropping down to the cove so I could walk along the beach, sit on rocks, breathe the salty air. Really. It's this weird dynamic that I fight within myself — on one side, a desire to linger and absorb each moment. On the other, the zeal to keep moving. The latter is not even about racing for me — racing is more of a convenient vehicle to facilitate this strong internal drive. The drive to move usually wins. I strode into the checkpoint and saw that the first 10 miles had taken me two and a half hours and that was ... not great. Dark clouds again gathered, bringing strong gusts of wind and enough cold, pelting rain that I cinched up every opening in my rain jacket. The ghost of 2015 Jill was somewhere in the miles ahead, probably shaking her head at me. The course climbed another ridge and veered onto the SCA trail, with its stunning views of the ocean on one side and the city on the other. The wind up here was terrible, with violent crosswinds that frequently threw me off balance. 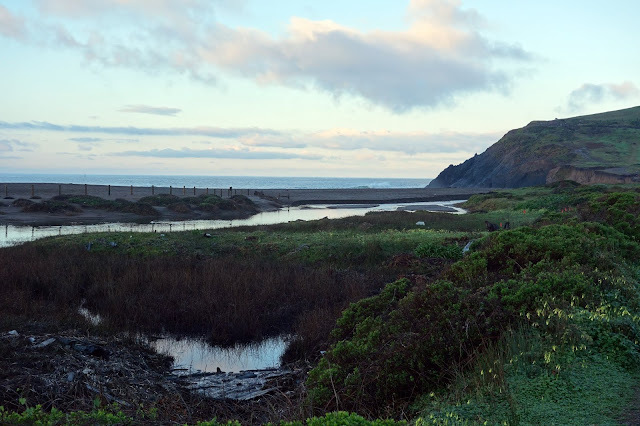 I was moving timidly and carefully until I hit the SCA trail, where I lapsed into happy memories of mountain biking the Headlands with my friend Leah. This launched another burst of blissful giddiness, prompting my heavy legs to run faster. A quickened pace and unfocused nostalgia is a bad combo for me, and it didn't take long to catch a toe at high speed. Whenever I take a fall, I spend those terrified fractions of a second before I hit the ground visualizing what body part I need to brace. This time, everything happened much too fast, and it was my face heading into the rocks. The ground seemed inches away, so I clamped my eyes shut, to at least protect those. Suddenly, as though by magic, my left knee slid under my torso, slamming a foot onto the ground and springing my entire body back into the air. Then my right foot came down, then the left, then right, in a frantic series of recovery steps. Then I was running normally again. "Holy f*$% I can't believe I caught that!" I swore loudly. I stopped to gather my bearings, and noticed another runner not far behind. I wanted to ask whether he'd witnessed my spectacular save, but felt sheepish about yelling to myself, and just waved as he went by. The course followed a trail all the way down to the main road. I did not remember this segment, and indeed it turned out to be mis-marked, lengthening the course to something closer to 34 miles. 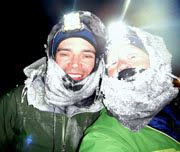 Along another descent, the sky really unleashed its fury with gale-force winds and thick hail, large enough to briefly accumulate in the mud. 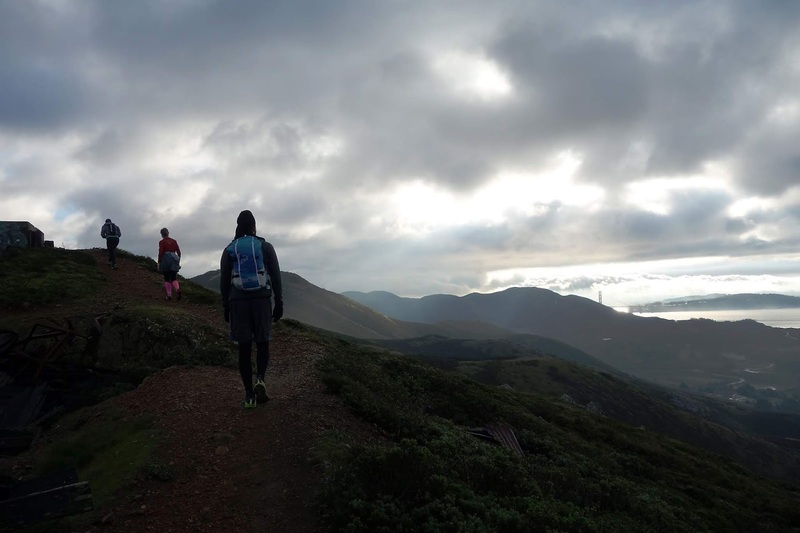 The weather reminded me of a summer storm at 13,000 feet in Colorado — the kind that come on with such swiftness and force that you have no time to react. 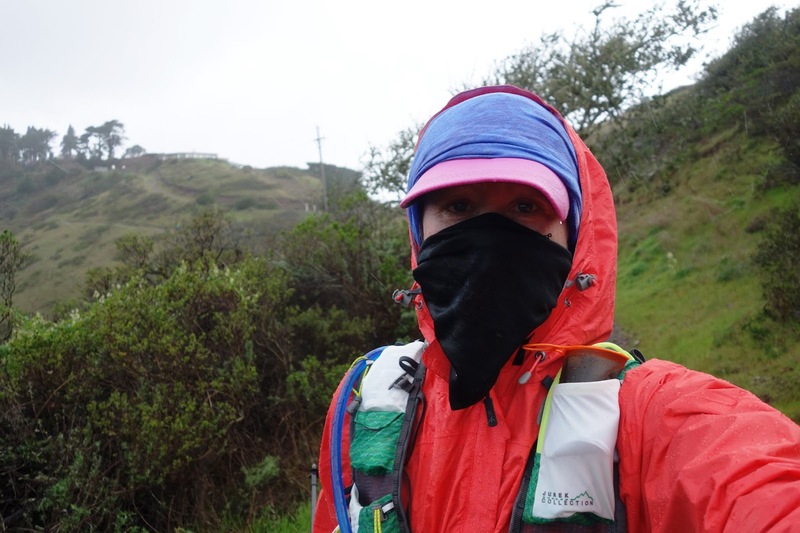 I pulled up my buff to protect my face and continued down the trail as cyclists raced up the hill with hunched postures and shellshocked facial expressions. "Some fun," one cyclist groaned as he pedaled past. "Great fun," I replied, but I was being sincere. If I can't have a fast race, at least I get an interesting one. The three miles into the 30K finish also followed trails I did not remember. They jutted up and down the hillside through a steep bog. The mud was ankle-deep and so slick I saw a couple of half-marathon runners intentionally sliding down on their backsides. I dug in my trekking poles and heels and took careful steps. The 30K was supposed to be 19 miles long, but my watch said 21. I knew repeating the large loop meant another 15 miles. (They ended up rerouting the course for the second lap so it would be closer to 13.) But at this point I was expecting to run 36 miles and it had taken me 4:45 to wrap up the 21-mile 30K. So I knew it was going to a slow 50K time no matter what. The ghost of 2015 Jill was long gone. This made me feel sad, much to my chagrin. I was exasperated because I had no reason to be sad. I was running through a beautiful place, and really was having a lot of fun. An endurance buzz had set in. The scenery became more stunning, the storms more fearsome, the daydreaming more visceral, and the little jokes more funny. In a bout of inspiration to draw power from ghost Jill, I'd made a playlist for this race that was mostly songs from 2015. One was "Really Inactive" by Weird Al, and I had great fun loping along as I sang out loud and badly. I did try to use this energy to go faster, but the trails were really slick, the rain was pelting down, and my legs remained leaden no matter how much willpower I pumped into them. Some days, you just don't have it. Still, I consider it a win that I wrapped up this steep slippery race without a single splat. That one unlikely save was the grandest of victories. I finally reached the finish after seven hours and 50 minutes. I admit that time felt like a smack in the face, but I had given the Golden Gate 50K the best that I could. There was no chillaxing for me. Beat finished in just under seven hours and had been hanging out in the rain for some time, so he ushered me to the car before I could even change out of my mud-soaked shoes. It was anticlimactic, that race finish — but the trip itself was a great diversion. I visited with a number of old friends, I made that ill-advised but welcome ride to Black Mountain, I enjoyed California sushi and Sunday brunch at a French bistro, and I got to spend the best part of eight stormy hours in verdant hills by the sea. And I didn't fall on my face! As for the runner in me, there are still plenty of hopeful hills ahead. Ummm. . . Maybe your legs felt tired because you did a big bike ride with lots of climbing the day before? Most people taper before a 50 km run! Just saying! Ha. I never used to taper for 50Ks. They were always my training runs. Once in 2013 I ran two 50Ks in two days and did just fine in the second one. 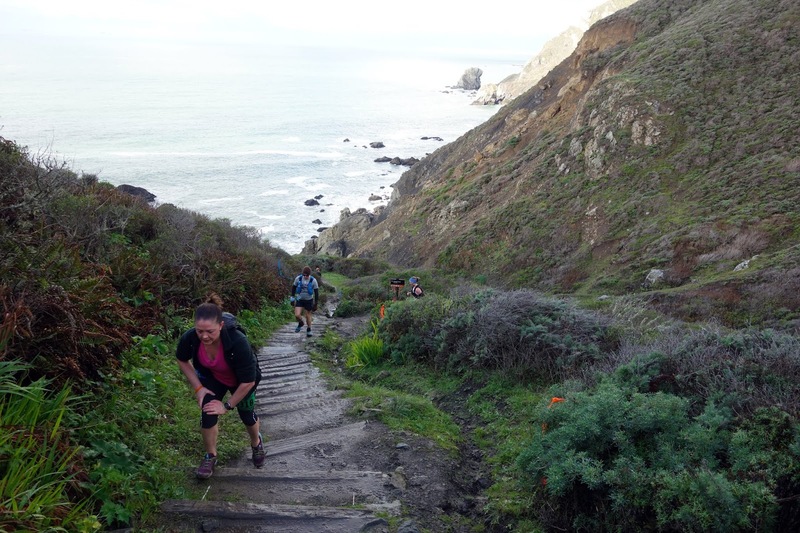 Anyway, too much of my training these days is weighted toward steep hiking. It's not really the same as consistent running, so I don't really have the proper specific fitness. I am 65 years old and ran a couple of marathons when I was young.."40 to 45" Believe me no matter what you think these are the best of times...enjoy them! You will look back 10 years from now and say "oh yeah remember them" Life is all about adjusting...nobody is promised tomorrow. P.S. enjoy your blog and your adventures! "Nobody is promised tomorrow." I've long embraced this truth. Each year I'm amazed in grateful to see another birthday. The ghost of young me when I was a fast runner doesn't really bother me but if I got so I couldn't hike as far as I do, that would really bother me! People are strange. At least we are still out there doing it. Sounds like you really miss the ocean.You should organise a 30km walk which is all along beaches! 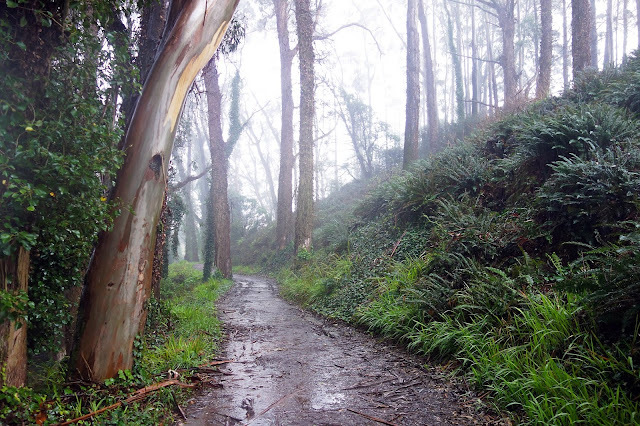 Is a fire road a fire break?